We have many Scooby-Doo games lefts after our older cousins who grew up and now Teddy is a fan of Mystery Inc.gang and gladly follows their adventures. This month Warner Bros. Home Entertainment prepared a fantastic gift for all Scooby-Doo fans as the characters come to life in LEGO form in LEGO® Scooby-Doo! : Haunted Hollywood animated movie. Seeing Scooby-Doo and his friends in their first Lego film is pretty exciting as their LEGO versions are really good ones and totally fun. 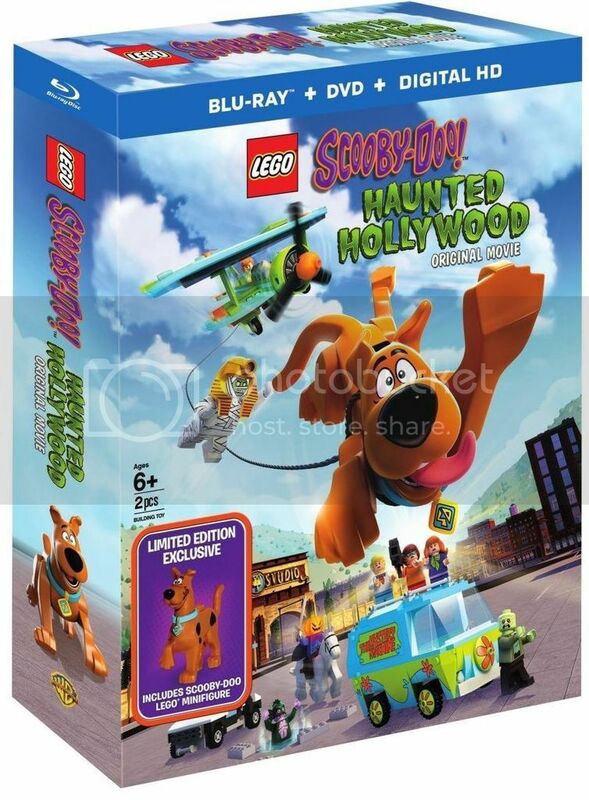 In this brand new animated film available May 10, 2016, viewers join Scooby and the gang they head to Hollywood to visit a legendary Brickton Studios, a historic Hollywood movie studio. While visiting the lot, the gang which is excited about their all-inclusive trip to Hollywood at first, surprised to find the once powerful film studio has fallen onto hard times. Neglected and in disrepair, Brickton, which has lost its luster, now faces threats of closure and an impending sale to greedy developers who want to tear it down. The legendary motion picture studio is also haunted by movie monsters from classic old films and it is not a joke. Mystery Inc. gang discovers that the studio’s backlot is occupied by the ghost of Boris Karnak, a famous, old time movie actor who has been making ghostly appearances in the roles he once made famous – including the Headless Horseman, the Mummy and the Zombie. The ghostly sightings have frightened away the cast and crew of Brickton’s latest film production, which was the studio’s final effort in trying to save the company from going under. Now with production halted on the movie which was supposed to rescue Brickton from its demise, it looks as though the famous backlot is destined to fall into the hands of the developers after all. Scooby and the gang try to make the production themselves but every time is attacked by vigorous monsters. Determined to find out what is going on in the studio and help the owner, Scooby and his friends set up a trap to catch the monsters and finally find out who are the real villains in this real movie set up. It’s a “bricktacular” adventure no Scooby-Doo! fan will want to miss! Teddy loved watching the movie; it is interesting and funny. The Blu-ray™ Combo comes with LEGO® Scooby-Doo Mini figure. Now Teddy plays with Scooby Lego toy and says that Scooby loves eating that’s why his tongue always on the side. While it is not Halloween time around, the movie is really amusing with scary features and Scooby-Doo as an absolute favorite in his jumps, escapes, flies and food adventures. 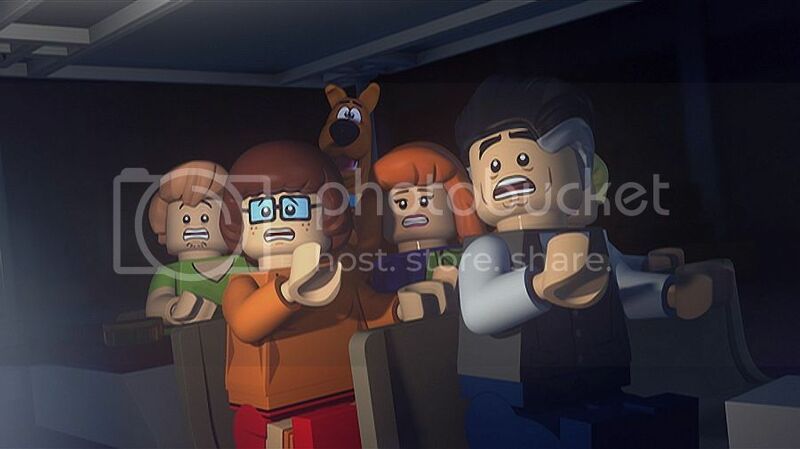 LEGO® Scooby-Doo! : Haunted Hollywood is available on Blu-ray™ Combo, DVD & Digital HD today, May 10, 2016.